Is your child interested in Soccer? 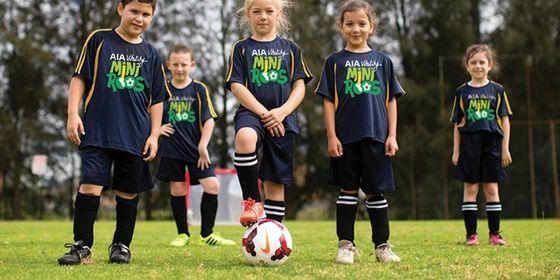 Sign them up for our Aldi MiniRoos soccer program. Designed for kids of all abilities, aged 5 – 10 years, the nation-wide initiative uses modified games and activities to introduce participants to the sport of football. The program focuses on learning new skills, being active, making life-long friends and, potentially, unearthing the next generation of Socceroos or Matildas!